A twice-yearly event, the next Fiesta del Cine will be held across Spain, including the Canary Islands, on 7, 8 & 9 May, with tickets on sale for only 2.90€ per film. 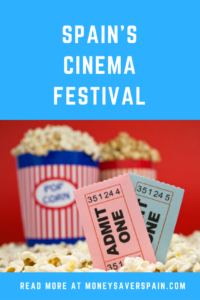 Visit the official website, fiestadelcine.com, where you can find a full list of cinemas taking part in this event. If you’ve registered on previous occasions you’ll only need to fill in your email and date of birth to get your free personalised invitation. Newbies will have to choose an option: single voucher or group (up to 10) vouchers via a single email address. Once you’ve registered and received the accreditation by email, you can either buy your tickets online in order to avoid queues, or at the cinema. On each of the three days the event is held, show the accreditation on your smartphone along with photo ID to get your ticket for any of the films that day for only 2.90€. Remember: rather than each person having to register online with a unique email address, you can use a single email address for a family or groups of up to 10 people. 1. 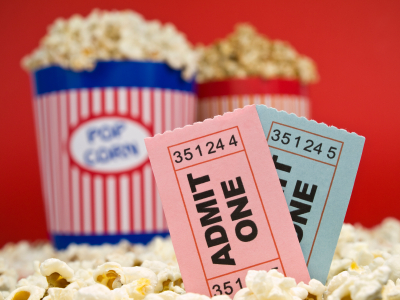 For 3D films or other special events you may have to pay a supplement, this depends on each cinema. 2. In order to use the discounted tickets, show photo ID when presenting the email or tickets at the cinema. Don’t forget to take it! 3. Over-60’s don’t need to register. With photo ID they’ll be able to buy tickets at participating cinemas for 2.90€ also. 4. Under-14’s don’t need their parents to register to obtain accreditation and they won’t have to show ID either. When they visit any participating cinema they’ll automatically be able to buy tickets for only 2.90€. 5. Remember if you have a Youth Card you won’t be able to use it to get an even lower price.